These works in clay are created by hand. A work usually begins on the wheel but then the shape may be altered. Once the shaping of the work is completely finished, the clay vessel is dried to leather-hard and carefully burnished. Then a very fine terra sigillata (clay slip) is applied and the vessel is lightly burnished again. The clay slip and the burnishing create a “skin” on the vessel. Lastly, the vessel is allowed to dry thoroughly. Next, these burnished vessels are fired in an electric kiln to a low temperature to impart strength to the clay for the smoke-firing process. The vessels are then layered in a primitive outdoor kiln made of bricks. The kiln is also packed with sawdust and wood shavings for fuel. In addition, various combustibles may be added such as leaves, seaweed, pine needles or cones, even dried horse manure. After all, this is a traditional firing method! 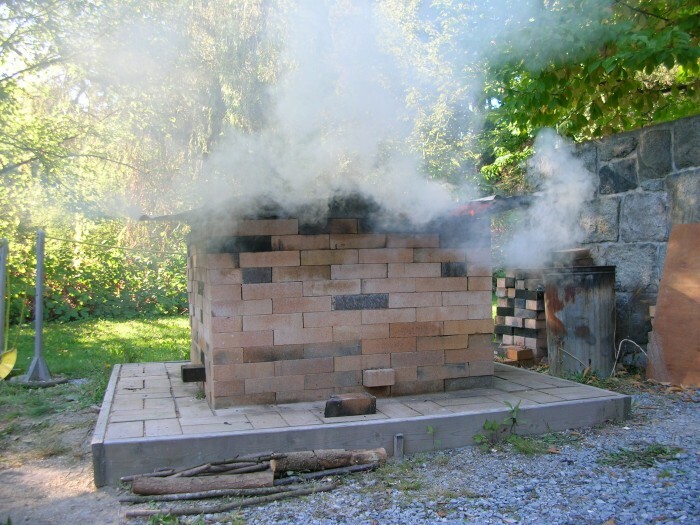 Once the kiln is ignited, the vessels are left to the serendipity of the flames and smoke. The first dramatic flames are soon smothered and the pots smolder in the kiln for a day until the fuel is completely reduced to ashes. While the artist can influence the atmosphere of the kiln, no vessel’s fire marks and blushes of colour can ever be reproduced. Patterns of trapped carbon and fumes from the smoke impart subtle colour variations and mark each vessel uniquely. After firing, fossil pieces or wire configurations may be added to some of the pieces. The addition of a fossil compliments the timelessness of the materials and the transformation process that takes place in the firing process. The fossils are actual parts of horse teeth from the Pleistocene age and, while not difficult to obtain, are at least 12,000 years old and may be much, much older! Smoke-fired vessels remain porous and will seep if filled with liquids. 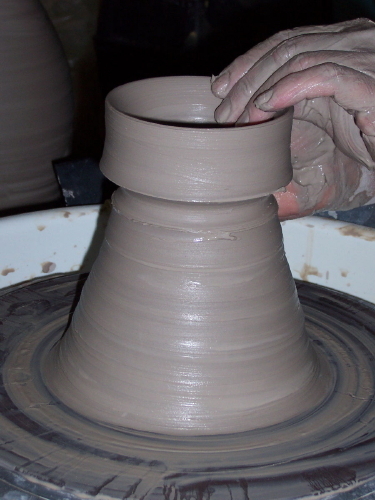 The vessels do not have a glaze on them. The satin “skin” is a result of burnishing. Smoke-fired vessels are for decorative purposes only. Break away from the tyranny of functionality!